It is never a question of IF your hard drive will fail, its a question of WHEN your hard drive will fail. Every moving platter hard drive on the planet will fail some day. It’s a mechanical moving part that is prone to wear, tear, and eventually break down. Data recovery can sometimes exceed the cost of a decent used car. With one simple step… backing up your hard drive… you can avoid costly salvage operations, lost time, and worse… lost files. Even if you have complete faith in your hard drive, your operating system, or a nice virus can wipe that data for you. 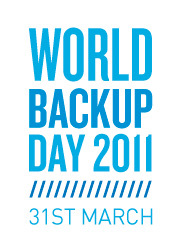 Hard drives and backup solutions are inexpensive nowadays. Here at DLP, we recommend a minimum of 2 layers of protection for all critical files. Layer 1: Local hard drives… this could be external drives, raid arrays, etc. Just have it backed up locally so a quick fix can be made if something fails. Layer 2: offsite backup. This can be done a number of ways: through third party providers (such as dropbox or amazon s3), through a little more complex setup with a family member (for example, set up a nas and dynamic dns account to put at your brothers house, then do incremental backups), or even go to the extreme of keeping a safety deposit box and external hard drive that you do weekly or monthly backups in a rotation. Whatever your solution…. just make sure you are backing up.